This book is totally different from what I usually read and I am not sure how I feel about that. Sometimes it is good to move out of your comfort zone but I am thinking that maybe I have a comfort zone for a reason. The book is told from the viewpoint of Kathy, a thirty-one year old who grew up at Hailsham, a boarding school. She and her fellow students know there is something different about them. All the same, some of it must go in somewhere. It must go in because by the time a moment like that comes along, there's a part of you that's waiting. Maybe from as early as when you're five or six, there's been a whisper going at the back of your head, saying: 'One day, maybe not so long from now, you'll get to know how it feels.' So you're waiting, even if you don't quite know it, waiting for the moment when you realise that you really are different to them; that there are people out there, like Madame, who don't hate you or wish you any harm, but who nevertheless shudder at the very thought of you-of how you were brought into this world and why-and who dread the idea of your hand brushing against theirs." The book is written in a very chatty, conversational tone with Kathy looking back at her younger years and what has led up to the point she is at now. Nothing is ever very clearly stated but there is an ever-increasing sense of horror about the "donations" the students will eventually make and the day that comes when they "complete." I think my problem with the book is that it presents a truly disturbing premise and a storyline that had the potential to be truly harrowing and I never felt adequately harrowed. The characters were flat and their reactions seemed unrealistic. Did no one ever rebel? Did no one ever question the future laid out for them? Did they all just go ahead like sheep to the slaughter? I kept waiting for the angst and the agony and the questioning of life and it never really came. Even when two characters fell in love and faced the future ahead of them it never seemed like they really questioned that future It never occurred to them that it was possible to change things, only delay them. Even their dreaming had a fatalistic quality to it. Real life people in real life situations do not always simply march ahead to their doom. Even if they can't change it they might be angry, question, grieve. I felt this level of acceptance worked in the first half of the book where the characters were children and had no contact with the outside world but then it fell apart when they grew up and lived among other people. Surely that is what contact with other people and other ways of thinking does for you? It makes you examine your own life and your own future. 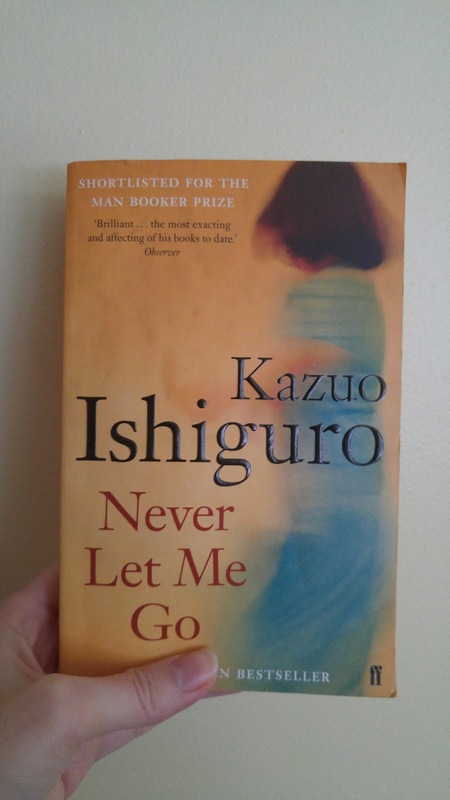 I know what Ishiguro was trying to do but for me, it fell flat. Maybe he wanted the acceptance of their fate to be horrifying in and of itself but it struck a jarring note. I finished the book and put it down feeling as if I had been fooled somehow. As if all my emotions were supposed to be stirred up and my empathy engaged and it hadn't happened. I could see how I was supposed to feel but I didn't feel it. So if you have read this, tell me what I am missing. Maybe this just wasn't the book for me. But for now, I think I am going to retreat back into my comfort zone. I know what you mean about their quiet acceptance of fate but, for me, the book was all the more horrifying for that. The idea that it could be accepted as normal by everyone, including the donors, was truly bleak and scary. I do understand what you say about how horrifying the acceptance of their fate was. I just kept expecting someone at some point to question what was going on even if, as a whole, society accepted it. Because I kept expecting that and it didn't happen it stopped me from being fully immersed in the story. It definitely is a horrifying premise though, isn't it? Oh no! Ishiguro was my ultimate literary discovery of 2015, the two books by him I read last year were my first and second favorite books of the year. But your review does align with what I've seen so far. The Remains of the Day is met with near universal acclaim. Never Let Me Go (and his most recent novel The Buried Giant) is positively received, but reviews can be mixed. So if you want to branch out of your comfort zone again, you can always try The Remains of the Day (Bonus: it's set in post-WWII England). I am evangelical about The Remains of the Day. Grab the tissues though, it's heartbreaking. Caveat: So far, I've noticed Ishiguro is a master at crafting narrators who are rigid and repressed, even with shades of self-delusion and hypocrisy at times. If you can't stand such traits, I don't think even The Remains of the Day is for you. I actually read The Remains of the Day last year and really enjoyed it. It is just the sort of understated book I appreciate (and yes, the time period is also just what I like). Because of that I was thrown by my ambivalent reaction to Never Let Me Go. I could see the appeal for many people but it just didn't work for me. I think the main thing is that the characters just didn't seem real to me and neither did the way they reacted to their situation. I will be curious to hear what you think when you read it. I will try Ishiguro again, though. I am interested to read your full review of An Artist of the Floating World. Hi Jennifer, my review of An Artist of the Floating World is finally up and running. I think you will like it since it is much closer to The Remains of the Day than Never Let Me Go.